Welcome to Signature Safes by HARTMANN — security in its most attractive form. Signature Safes by HARTMANN prove that security and beauty can harmonize perfectly with one another! 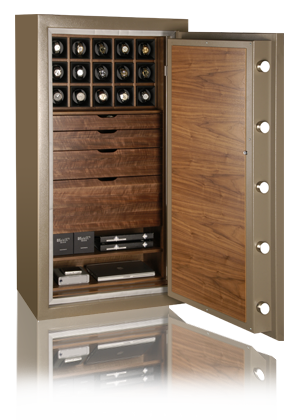 Our design safes combine more than 150 years of traditional craftsmanship with the latest technology. 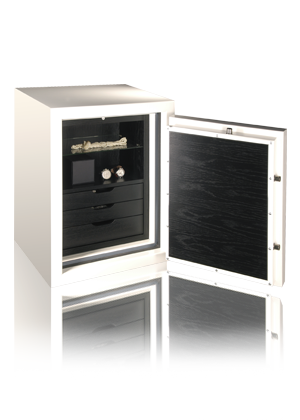 Our jewellery safes and watch safes meet the highest European security standards. 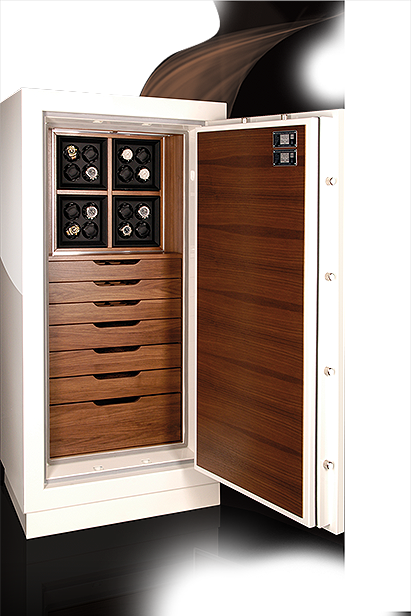 Signature Safes by HARTMANN are our premium product line. 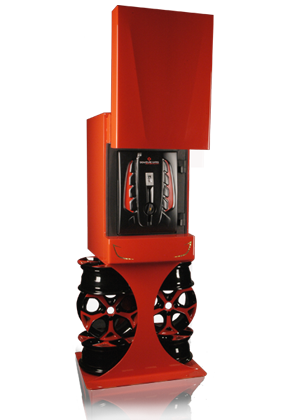 These safes are manufactured individually and entirely in accordance with your wishes – everything from the paintwork right down to the last interior detail. 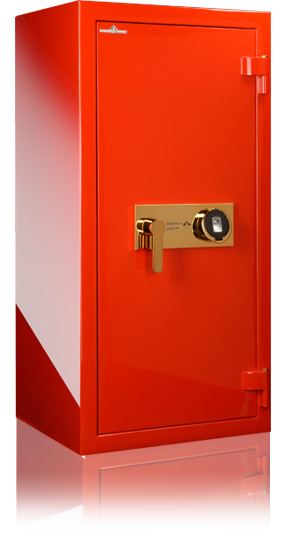 Protect your jewellery, watches, unique mementoes and confidential documents in a special safe designed entirely to your specific requirements. Signature Safes by HARTMANN offer you the security you require and a safe whose design and features are tailored to your individual needs and personal style. Whether the safe is for your watch collection or your most valuable jewellery – the exterior and interior are designed just the way you want them. Be inspired by some of the safes we have already made to our customers’ specifications, and contact one of our specialists about the design of your own individual “Signature Safe”. It goes without saying that we will work closely with you to ensure your HARTMANN safe is integrated in the interior décor and security systems of your home. Provide your exclusive watches with a setting as secure as it is stylish: a watch safe designed and built according to your individual needs and wishes! Including your required choice and number of automatic watch winders. A unique item that bears your personal signature and displays your watches in the exquisite setting they deserve. Keep your valuable rings, earrings, necklaces and colliers safe from unauthorized access and in a secure place – a made-to-measure jewellery safe built to meet your individual requirements. With drawers lined with velvet or Alcantara in the colour of your choice and fitted with special compartments for specific items of jewellery, such as ring racks, necklace compartments or watch cushions. Masterpieces are expressions of absolute individuality. 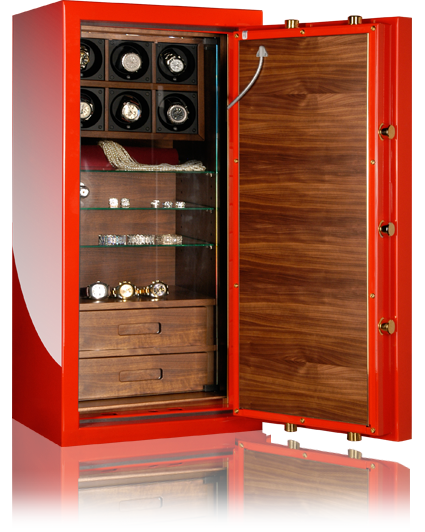 Designer safes created for discerning customers who value self-realisation and personal style above all else. Hardly recognisable as safes at first glance, each bears its owner’s unique, individual signature and gives an insight into his or her tastes and character.